Signature Bank, Windsor, Colorado, was closed today by the Colorado Division of Banking, which appointed the Federal Deposit Insurance Corporation (FDIC) as receiver. To protect the depositors, the FDIC entered into a purchase and assumption agreement with Points West Community Bank, Julesburg, Colorado, to assume all of the deposits of Signature Bank. The three branches of Signature Bank will reopen during normal business hours as branches of Points West Community Bank. Depositors of Signature Bank will automatically become depositors of Points West Community Bank. Deposits will continue to be insured by the FDIC, so there is no need for customers to change their banking relationship in order to retain their deposit insurance coverage up to applicable limits. Customers of Signature Bank should continue to use their existing branch until they receive notice from Points West Community Bank that it has completed systems changes to allow other Points West Community Bank branches to process their accounts as well. This evening and over the weekend, depositors of Signature Bank can access their money by writing checks or using ATM or debit cards. Checks drawn on the bank will continue to be processed. Loan customers should continue to make their payments as usual. As of March 31, 2011, Signature Bank had approximately $66.7 million in total assets and $64.5 million in total deposits. In addition to assuming all of the deposits of the failed bank, Points West Community Bank agreed to purchase essentially all of the assets. Customers with questions about today's transaction should call the FDIC toll-free at 1-800-517-1843. The phone number will be operational this evening until 9:00 p.m., Mountain Daylight Time (MDT); on Saturday from 9:00 a.m. to 6:00 p.m., MDT; on Sunday from noon to 6:00 p.m., MDT; and thereafter from 8:00 a.m. to 8:00 p.m., MDT. Interested parties also can visit the FDIC's Web site at http://www.fdic.gov/bank/individual/failed/signaturebank.html. The FDIC estimates that the cost to the Deposit Insurance Fund (DIF) will be $22.3 million. Compared to other alternatives, Points West Community Bank's acquisition was the least costly resolution for the FDIC's DIF. Signature Bank is the 51st FDIC-insured institution to fail in the nation this year, and the 4th in Colorado. The last FDIC-insured institution closed in the state was Colorado Capital Bank, Castle Rock, earlier today. On Friday, July 8, 2011, Colorado Capital Bank (CERT #34522), Castle Rock, CO was closed by the Colorado Division of Banking. All deposits, excluding certain brokered deposits, were transferred to the acquiring institution. For further information, please visit the FDIC web site: Colorado Capital Bank (www.fdic.gov). On Friday, July 8, 2011, First Chicago Bank & Trust (CERT #27935), Chicago, IL was closed by the Illinois Department of Financial and Professional Regulation. All deposits, excluding certain brokered deposits, were transferred to the acquiring institution. For further information, please visit the FDIC web site: First Chicago Bank & Trust (www.fdic.gov). Can slower Internet speeds convince consumers to stop pirating copyrighted material online? That's the assumption behind a new anti-piracy effort launched this week by a coalition of Internet service providers and groups representing movie studios and record labels. Under the new initiative, AT&T, Cablevision, Comcast, Time Warner Cable and Verizon have agreed to send customers email or pop-up alerts if it is suspected that their account is being used to download or share copyrighted material illegally. Should suspected illegal activity persist, providers might temporarily slow Internet speeds or redirect their browser to a specific Web page until the customer contacts the company. Time's Techland blog calls the effort "fairly reasonable" but points out that "it's only a matter of time before someone is falsely accused of copyright infringement and throttled accordingly." Users accused can seek an independent review of whether they acted illegally. Seems Google wants to play nice when it comes to social networking. Chairman Eric Schmidt told journalists at the Allen & Co. media retreat in Sun Valley, Idaho that he is leaving the door open to more co-operation with social networking giants Facebook and Twitter as his company rolls out its own alternative, Google+. Trumpeting the new network's early success, Schmidt said he would "love to have deeper integration with Twitter and Facebook." In separate news, Google Chairman Eric Schmidt will testify at a September hearing before the Senate Judiciary Committee's Antitrust Subcommittee. Apple promised a fix to a security flaw in its mobile operating software that could open iPhone, iPad and iPod Touch users up to attacks by hackers. The security hole was deemed serious enough that it would allow someone to steal data off the device, a German security firm warned this week. Apple said its fix will be rolled out in an upcoming software update. Spotting a bubble before it deflates has proved difficult, if not impossible, but that hasn't stopped questions about LinkedIn's stock price. Who will head the next generation of multibillion-dollar start-ups? Financiers at the Sun Valley conference hear about three of them. Most employees in 401(k) plans dutifully accept the menu of mutual funds chosen by their employers. But adding a self-directed option could improve plans. Reuters - Daily Investor Update: Jobs halt Wall Street rally, investors eye earnings. NEW YORK (MarketWatch) — U.S. stocks fell for the first session in three Friday but recovered much of their losses by the close, cementing gains for the week. For the week, the Dow (DJIA) gained 0.6%, the S&P 500 (SPX) added 0.3% and the Nasdaq Composite (COMP) rose 1.6%. The last financial crisis isn't over, but we might as well start getting ready for the next one.Sorry to be gloomy, but there it is. Why? Here are 10 reasons. Read Brett Arends' commentary on a coming global financial crisis . SAN FRANCISCO (MarketWatch) -- U.S. stocks fell for the first session in three Friday but recovered much of their losses by the close, cementing gains for the week. After losing more than 100 points in the wake of a disappointing report on U.S. jobs, the Dow Jones Industrial Average DJIA -0.49% ended down 62.29 points, or 0.5%, to 12,657.2, led by a 2% decline in Bank of America Corp. BAC -2.01% shares. The S&P 500 SPX -0.70% fell 9.4 points, or 0.7%, to 1,343.80. It was the first down session in three for both indexes. The Nasdaq Composite COMP -0.45% lost 12.85 points, or 0.5%, to 2,859.81. For the week, the Dow average gained 0.6%, the S&P 500 added 0.3% and the Nasdaq Composite rose 1.6%. There have been a few signs of slight improvement in the U.S. real-estate market. But in many regions, home prices are depressed and are forecast to fall further in the second half of the year. However, Amy Hoak reports today, a scant five cities are expected to notch small gains in home prices during the remainder of 2011. Those markets are Washington, D.C., New York, Dallas, San Francisco and the long-suffering Orlando, according to Clear Capital's data index forecast, released today. On a national basis, the report says, home prices are expected to slip another 2.4%. The news that home prices might rise, albeit in only a few areas, is still a bright spot on a day of otherwise grim data. "It is about as bad as anyone could image," Nigel Gault, chief U.S. economist for IHS Global Insight, said about Friday's news that nonfarm payrolls rose by only 18,000 in June. Economists surveyed by MarketWatch were expecting 125,000. Needless to say, stocks are taking it on the chin. Not to be a real downer on a Friday in the summer, but our column by Washington Bureau Chief Steve Goldstein, "This Week in Charts," shows the U.S. labor market in all its ugliness and does a great job of explaining jobs data, including the employment-population ratio and payroll growth. Despite recent price improvements nationally, only five markets in the country are expected to see home-price gains for the remainder of 2011. Read more: 5 cities where home prices will rise this year. It is amazing to what extremes some people will go in their efforts to separate folks from their money — and often their homes, Lew Sichelman says. And it is equally amazing what a few owners will do to save their homes. Read more: More shocking real-estate scams. Pretty much any way you look, the U.S. labor market is weak. See the week's major economic indicators in chart form. See charts: U.S. labor market in all its ugliness. The U.S. economy added jobs at an even slower pace in June than in May, suggesting that the sudden slowdown in the economy might be long-lasting and more severe than feared. Read more: Hiring weak in June, with only 18,000 jobs created. A disappointing U.S. jobs report for June has stunned investors and economists and triggered a fresh round of political recriminations as to who and what's to blame. Read more: Poor jobs data stuns Wall Street. With the tough jobs situation, economists say supporting government work-sharing programs would be smart move. Read more: Work sharing supports jobs. Some people are puzzled by our sluggish growth, but there is no mystery, says Rex Nutting. What other result would you expect from the financial ruin of the once-great American middle class? Read more: How the bubble destroyed the middle class. For investors unsettled by repeat warnings of debt crises and economic slumps, cash probably deserves a second look. And a third and fourth. Read more: How to earn more on the cash you're stashing. Two advisers with decades of experience in the stock market are each quite bullish right now, projecting double-digit annualized returns. Read more: Two ‘geezers' who are bullish. Federal tax credits can make investments in community building very lucrative. Read more: Tax credits help community investments pay off. Summary: The FDIC is issuing a final rule that imposes requirements on insured depository institutions (IDIs) supervised by the FDIC that engage in certain retail foreign currency transactions with retail customers. The rule is being issued pursuant to section 742(c)(2) of the Dodd-Frank Wall Street Reform and Consumer Protection Act, and will take effect July 15, 2011. Statement of Applicability to Institutions with Total Assets under $1 Billion: The FDIC believes no FDIC-supervised banks in this size category are affected by the final rule. The rule does not cover traditional spot and forward contracts; therefore, only institutions planning to engage in foreign currency futures, options, or rolling spot contracts would be affected. FDIC-supervised IDIs entering into trades covered by the rule would be subject to requirements in six areas: disclosure, recordkeeping, capital and margin, reporting, business conduct, and documentation. The requirements focus on safety and soundness and consumer protection. The rule would only apply to covered transactions with a retail customer. For purposes of the rule, a retail customer may include certain small businesses. It may also include an individual with $10 million or less invested on a discretionary basis and who is not using the trades to reduce risks associated with other investments. FDIC-supervised IDIs engaged in or that wish to engage in transactions covered by the rule would be required to submit a detailed business plan, demonstrate board approval of the activity, and obtain written approval from the FDIC to provide such products, among other requirements. FDIC-supervised IDIs engaged in this or any sales or marketing of any investment products should continue to meet the expectations set out in the 1994 Interagency Statement on Retail Sales of Nondeposit Investment Products to the extent such expectations do not conflict with the requirements of the final rule. See FIL-9-94 (February 17, 1994). Space shuttle Atlantis blasts off from Florida's Cape Canaveral in the final launch of NASA's 30-year shuttle program. The British government said it would take the closure of the Rupert Murdoch tabloid, News of the World, into consideration when deciding on the mogul's bid to buy BSkyB. Shares in Rupert Murdoch's bid-target BSkyB slumped as the phone hacking scandal engulfing the media mogul's empire pushed the controversial deal into uncharted waters . Private equity firm, Carlyle Group, is in talks to buy Energy Capital Partners, a buyout company focused on power generation, electric transmission, midstream gas and other energy markets, the New York Times said. A Visteon Corp hedge fund shareholder that will get two board seats soon has been pushing to break up the U.S. auto parts supplier, betting the company has more value in pieces than as a whole, people close to the situation said. A booming IPO market and the lure of high returns kept China's private equity sector humming in the first half , stoking fear of asset bubbles amid rising concerns over the quality of listed Chinese companies. NEW YORK (MarketWatch) — Treasury prices turned sharply higher on Friday, pushing 10-year yields to the lowest level in more than a month, as U.S. data showed the economy adding fewer jobs in June than in May — just one point in a far weaker-than-expected payrolls report that rekindled worries about the outlook for the nation’s economy. Yields on 10-year notes 10_YEAR -4.08% which move inversely to prices, turned down 11 basis points to 3.03%, after trading around 3.17% before the data. A basis point is 1/100th percentage point. Stuck between rock and a hard place The European Central Bank and leader Jean-Claude Trichet want to keep a lid on inflation in Germany. But they also want to save the euro. Unfortunately, those goals are probably incompatible. The benchmark security’s yield fell as low as 3.02%, the lowest since June 29. Yields on 2-year notes 2_YEAR -17.00% dropped 8 basis points to 0.4% -- the sharpest decline since March. Shorter-term debt tends to benefit the most when investors flee to safety. Thirty-year-bond yields 30_YEAR -1.56% declined 6 basis points to 4.31%. The Labor Department said the U.S. added 18,000 jobs in June, a fraction of what analysts forecast for growth in nonfarm payrolls and an unexpected decline from May, which was revised lower. Read more on nonfarm payrolls. Also lending support to Treasury prices, the dollar EURUSD -0.92% gained against the euro as a scandal surrounding Italy’s finance minister sent the country’s bond yields up sharply, raising fears that Italy could get sucked into Europe’s debt crisis. Read about the dollar, euro. That follows a couple weeks of ups and downs following Greece approving austerity measures, debate among European leaders over how Greece can restructure its debt and this week’s downgrade of Portugal to junk status. “Uncertainty on the sovereign-credit crisis lends a safe-haven bid to Treasurys,” Valeri said. “Rates are going to stay right around 3% on the 10-year note” through the summer. On Wall Street, stocks fell. Read about U.S. stocks. 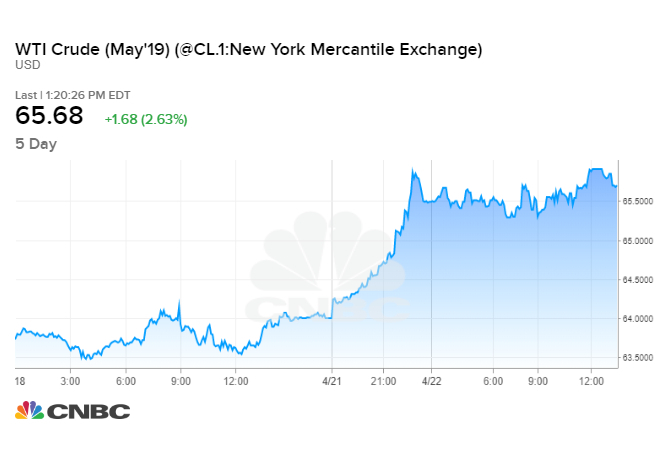 On Thursday, Treasury prices fell as a pair of reports on U.S. employment raised investors’ comfort about prospects for the economic recovery and led analysts to revise higher their predictions for Friday’s payrolls number. Read about falling bonds on Thursday. Deborah Levine is a MarketWatch reporter, based in New York.